With heart-shaped face, black eyes, buff back and wings and pure white underparts, the barn owl is a distinctive and much-loved countryside bird. Famously hunting on silent wings, they swoop down on their prey unannounced; a soft fringe along the outside of their flight feathers absorbing the noise of their flight. Undisturbed by the sound of their wings flapping, they listen out for the rustling of small mammals in the grass. Winter can be a great time of year to look for barn owls, as they often extend their hunting hours into daylight to find the extra food they need to get them through the colder months. Barn owls feed almost entirely on small mammals, such as field voles. Barn owls can be seen all through the year. Your best chance of seeing this silent hunter is at dawn or dusk in areas of rough grassland: a vole’s favourite habitat. 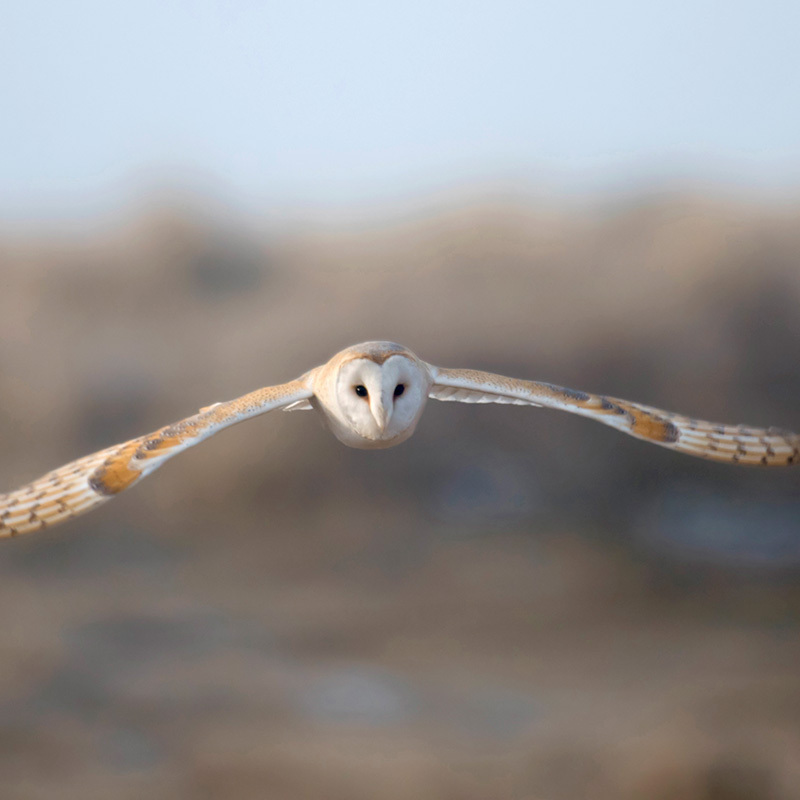 Like many owls, barn owls find it harder to hunt in windy conditions, so still evenings are best to try to spot them. Scan the sheltered side of fields in the lea of hedgerows for your best chances. If a barn owl is hunting nearby, you may be able to attract is closer by making a squeaking noise by kissing the back your hand – the owl may come over to see what’s making the noise. Don’t forget to listen out too – barn owls don’t hoot; they screech. View a barn owl 10km distribution map of Wales.